Pombal is a name you’ll hear a lot in Portugal, and that’s partly because of its role in the country’s politics. The 1st Marquis of Pombal was one of the nation’s greatest prime ministers, and there’s even a whole architectural movement named after him (Pombaline). He retired to this town in the Centro region in the 1770s. 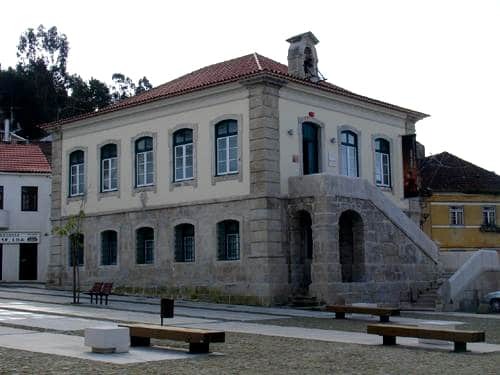 In the last few years of his life the Marquis left his mark on the old centre of Pombal, and the former prison building he commissioned now has a superb museum about his life. There’s also a medieval castle with a modern visitor centre and a clutch of churches, while on the coast are natural beaches off the tourist radar. 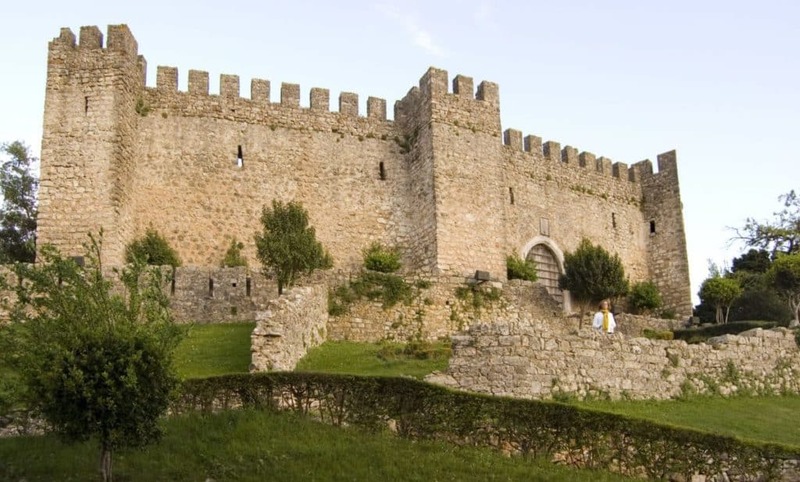 Pombal was born when this castle was constructed on a hill in the middle of the 12th century, at a time when Portugal was a battleground between the Moors and Christians led by King Afonso I. Work was overseen by the Templar Knight, Gualdim Pais, as an advanced outpost of a network of fortifications on the Mondego River basin. Curiously the castle was never involved in a conflict, apart from when it was looted and burned by the retreating French army. The complex is similar to Tomar Castle, also a Knights Templar fortification, with two layers of crenellated walls encircling a high square keep. There’s a modern cafe just outside, and a visitor centre in the keep with a timeline and informative animated movie about the castle and Pombal. 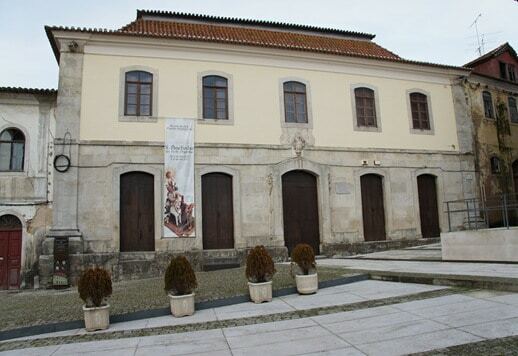 This museum, in Pombal’s historic former prison, is all about the 18th-century prime minister Sebastião José de Carvalho e Melo, 1st Marquis of Pombal. He is seen as one of Portugal’s leading statesmen, a reformer who helped diminish the Inquisition and guide the country through the devastating earthquake of 1755. The collection was assembled by a local antiquarian, who spent 25 years seeking out articles owned by the marquis or related to him. There are busts, medals, engravings, portraits, clothes, items of furniture, ceramics, documents and glassware, all piecing together a giant of Portugal’s past. Pombal’s main church is from the 14th century, and it was in this building that an important moment in Portuguese history is said to have taken place. In the 1320s King Denis I and his son Afonso had been at war, but, mediated by Denis’ Queen Elizabeth, the pair swore a public oath of peace here in 1323. This event is recorded by a tile panel on the nave’s triumphal arch. The building was remodelled in the mid-16th century, and at this time an exquisite side chapel was added (Capela Lateral de N.ª Sra. da Piedade). This is a highlight for its ribbed vault, coat of arms of the noble Freire Botelho Family and Renaissance polychrome altarpiece. The square in front of the church owes its name to the famous statesman, who spent the last few years of his life in Pombal between 1777 and 1782. This space has always been the social and economic heart of the town, and is home to the town’s museums both in buildings (the old prison and granary) ordered by the marquis himself when he moved here. The square is now totally pedestrianised and has a bar on the north corner for a cold drink or coffee. In 1776 the Marquis of Pombal ordered this granary as a place to store grain from his farm at the Quinta da Gramela. Recently the municipality restored the building and set up this museum for popular art and folk traditions on the ground floor. There are about 2,000 examples of handicrafts, mostly figurines, on display in glass cabinets and curated from all corners of Portugal. They make clear the huge diversity of customs, dress and folklore around the country. All these pieces were gathered by one person, Nelson Lobo Rocha, a former curator for the prestigious Calouste Gulbenkian Foundation. 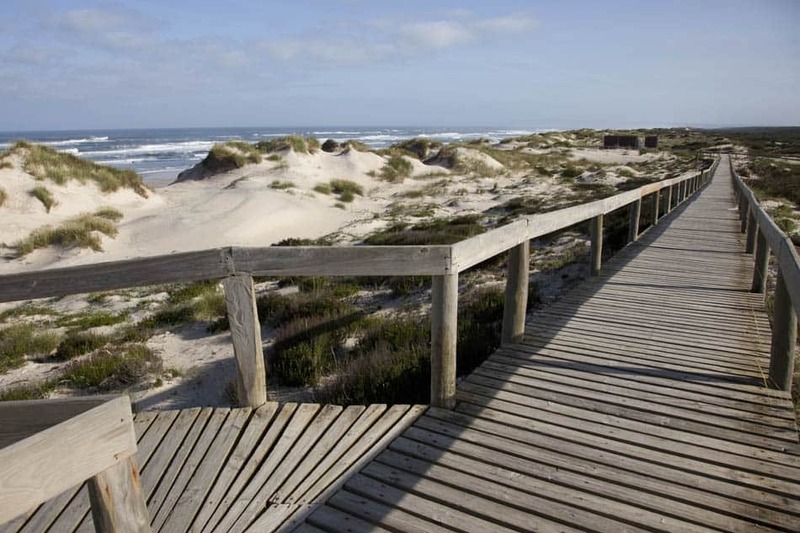 West of Pombal is a coastal plain enveloped in fragrant pine forest. 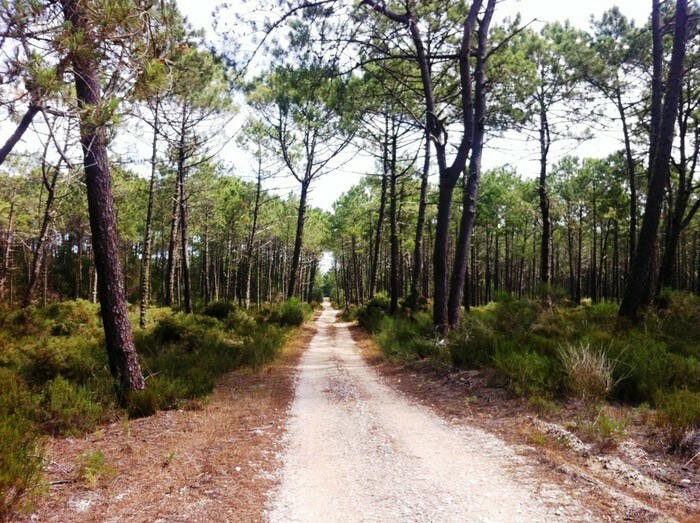 This is a northern extension of the Pinhal de Leiria pine plantation. And like its neighbour to the south it was planted at the behest of Kings Afonso III and Denis I in the middle ages to protect the plain’s farmland from dunes drifting in from the coast. In the Age of Discovery these tall maritime pines provided the lumber for caravels that spread Portugal’s influence far and wide. There are more than 6,000 hectares of woodland in a quiet, unpopulated region: You can take refreshing walks on the two marked trails, Trilho da Lagoa de São José and Trilho da Baleia Verde. Backed by those dunes and the national forest is this wild beach that has now flown the Blue Flag for ten years in a row. With limited infrastructure, and no big resorts nearby hardly any tourists make it to this beach. This is all the better for those in the know because it’s a five-kilometre slice of paradise. There’s a wide ribbon of fine white sand and low rolling waves. Services are light on the ground, but there’s still a few shops, a bar, lifeguard patrols and first aid station, while the boardwalks make it accessible for disabled people. 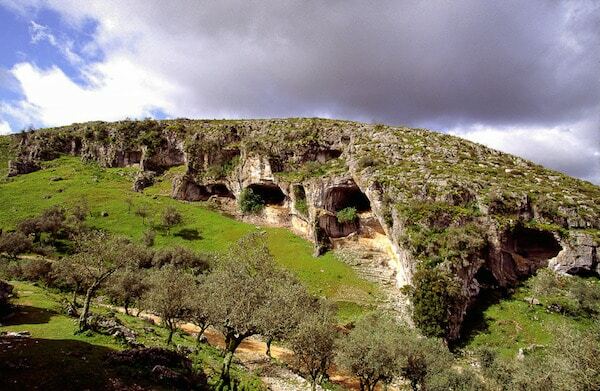 Breaking the horizon to the east of Pombal is this 559-metre karst massif that is honeycombed with caves that are explored by speleologists and amateur cavers. Tucked in the shadow of the Serra de Sicó is the rustic and ancient Aldeia do Vale, the longest inhabited village in the Pombal area. This rustic settlement uses the local limestone for building material and is noted for its distinctive circular barns. In the centre of the village is a cute chapel from the 1700s and separate fountains for people and animals. This church was founded in the first half of the 17th century by the Franciscan order and is inscribed as a National Monument. This period was at the transition between the Mannerist and Baroque in Portugal, and there are details of both styles. One of a few remarkable things about the building is that it walls have no curves in them, which makes the interiors somehow more striking. See the mannerist altarpiece and side-altars, fashioned from the same white Lioz limestone as the famous Jerónimos Monastery and Belém Tower in Lisbon. The tiles are from the18th century and are sublime, showing the lives of St Clare, St Anthony and St Francis, as well as the Passion. 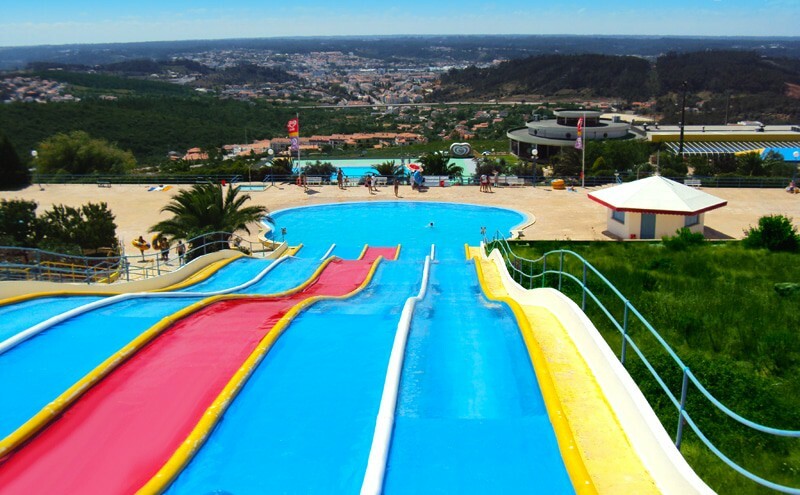 A lifesaver in summer for families with bored kids and teenagers, this waterpark is on an hillside a couple of minutes from Pombal. There are three flumes to fly down: One twisting half-pipe body slider, a multi-lane racer and a more serene river ride with an inflatable tube. These are joined by a couple of pools, one with a climbing frame and shallow water for little guys and a 25 metre pool for swimming or just wallowing in the water. There are also extensive green areas where you can lounge under palm trees. The park’s elevated position in the Serra de Sicó also grants it some awesome views, as the name “Panorâmico” makes clear. This sizable Baroque church may have the grandest architecture of any in the town. It was built by the Count of Castelo Melhor in the 1600s to fulfil a solemn vow. The facade has scrolls, niches and pilasters, while you’ll be taken aback by the sheer volume of the nave. The altar framed by tall Solomonic columns catches the eye, as does the proud Renaissance retable. This feature actually predates the church and was brought here from the ruined chapel in the castle complex. It dates to the 1500s and was possibly designed by the feted French sculptor, João de Ruão. In late July this church is the centre of attention during the Festas do Bodo, which follows below. This harvest festival takes place on five days around the last Sunday of July and is dedicated to the marian shrine at the Nossa Senhora do Cardal. The story goes that there’s was a plague of locusts and caterpillars infesting Pombal’s crops, so the townsfolk organised a procession leading from one church in the town to the next and ending at shrine at the Capela de Nossa Senhora de Jerusalém, promising a feast in her honour. Needless to say it was a success! And that procession remains at the core of the celebrations that mixes solemn traditions like folk dances and music recitals, with a 10k race and six nights of concerts by some big acts from the Portuguese pop scene. For the remainder of the year, if there’s an exhibition, play, conference, talk, concert happening in Pombal, chances are it will take place at this restored Art Deco theatre. The venue started out as a cinema-theatre in the days of the Estado Novo regime in the 1940s, and despite being built on a tight budget has lots of charm. It fell into disrepair towards the end of the century before being refitted for modern events and safety codes in 2002. If you drop in during the day there’s a cute cafe inside, and antique projecting equipment is on display. If you need ideas for excursions there’s a medieval city, a beach resort and Roman ruins inside half an hour. Praia da Vieira is the best option if you want a beach with a touch more life and a few more things to do by the ocean; there’s a watersports centre, choice of seafood restaurants, bars and another waterpark. Leiria, like Pombal, is watched from above by a castle. But this one was a home to kings in the 14th-16th centuries and has the elegance of a Renaissance palace. To the north is Rabaçal Roman Museum and Villa, where the ground floors and lifelike mosaics of a residential compound are waiting. You’ll know you’re in a traditional restaurant in Pombal if you see couves migadas on the menu. This is a local way of preparing cabbage, by chopping it finely, cooking it with beans and plating it with a slice of rustic bread. 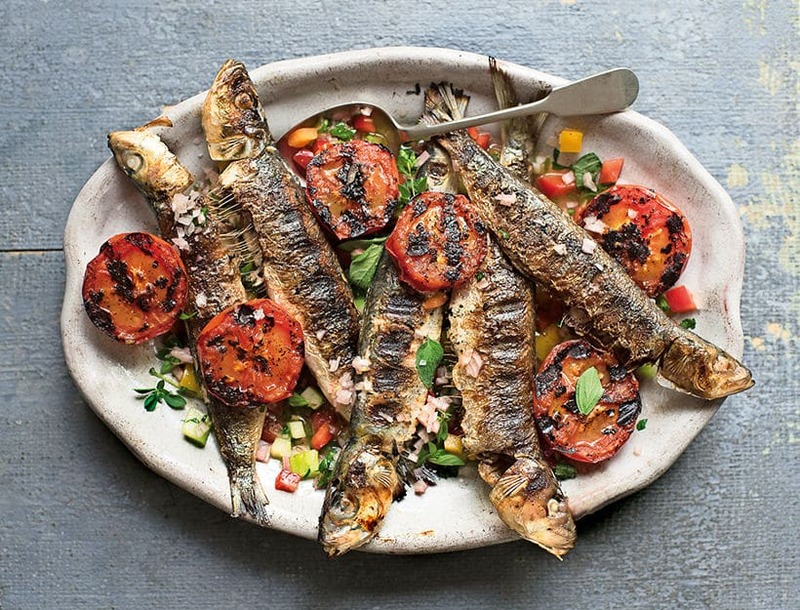 Naturally this isn’t a main course, but accompanies a host of dishes like roast cod or grilled sardines. On chilly winter days there are lamb and kid goat stews to warm you up, and the typical way to follow these is with a bowl of rice pudding spiced with cinnamon.